Photo submitted by Kiersten Bixby. Senior Kiersten Bixby shines both on and off the soccer field. 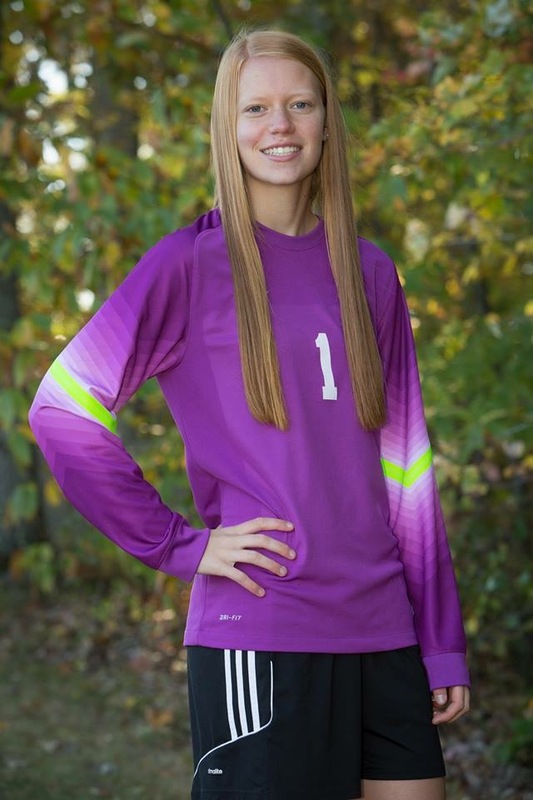 In addition to being North Attleboro’s starting goalie for the second year in a row, she is a member of National Honor Society, Foreign Language National Honor Society, Leo Club, Project Unite, and Student Council. The Red Rocketeers soccer team’s impressive record of 10-3-2 is prevalent in Kiersten’s experience as a goalie. She has been this position her whole life; originally choosing to be a goalie at the age of 4. Kiersten has a strong hold on her future. As a member of the National Honor Society and the Foreign Language National Honor Society, and respectively 20th in her class, she has taken extensive preparatory courses throughout her high school career, including AP Psychology.